1 - Open multiple tabs inside a group. Example 1. A group with two Word documents. Example 2. A group with one Calc spreadsheet and a Writer document. 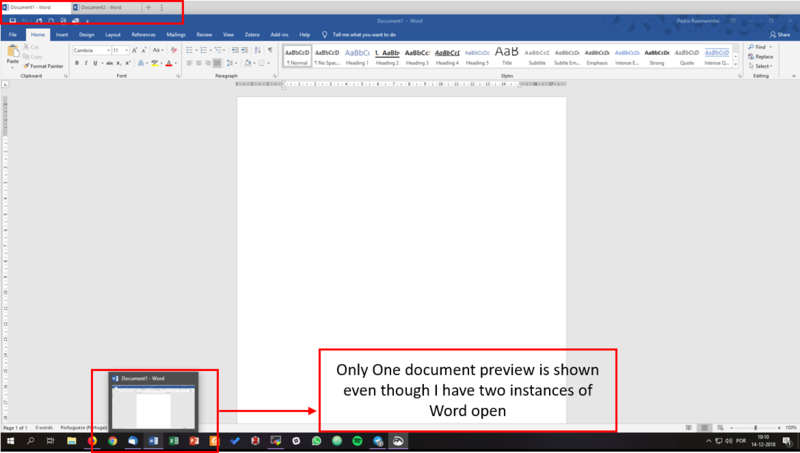 2 - Look at opened program icons in Taskbar. 3 - Hover mouse over active tab icon. 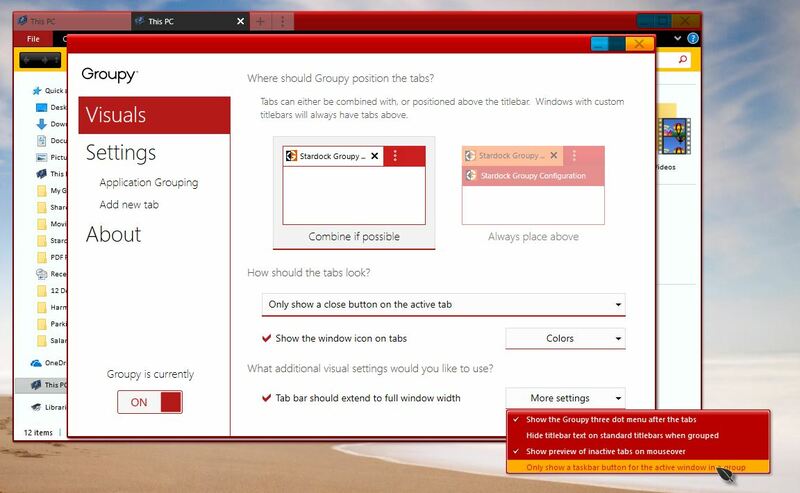 4 - Result - Taskbar only shows icon for active tab inside a group and window preview of active tab inside a group. Expected result - icons for all active programs inside a tab should be visible in the taskbar. 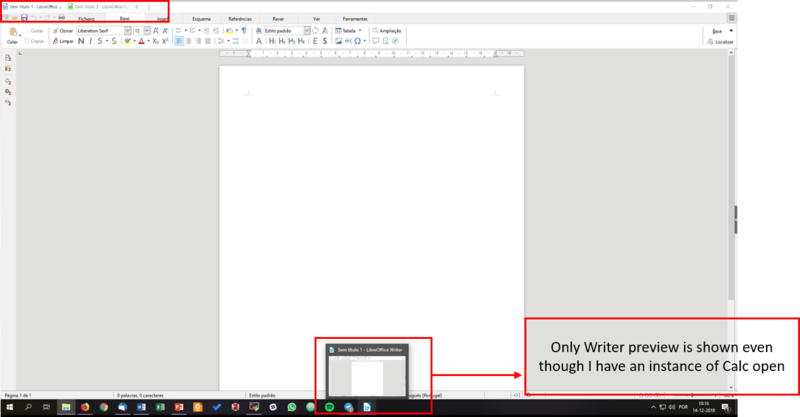 Windows previews when hovering mouse over taskbar icons should show all the instances of said program running in tabs and not only active one. Sorry to hear you are having issues. Some people would like only active tab show up on the taskbar. But you can disable this option as below s/shot. Thank you so much for pointing this out to me. Indeed it solved the issue I had. I wasn't able to find that option before you pointed it out to me.